"Slavia have scored plenty of goals in the knockout phase, and they won't just meekly surrender. I expect them to contribute to a lively game that Chelsea will ultimately win." Another win, and another clean sheet in the Europa League. Chelsea's 1-0 victory over Slavia in the Czech capital means they have now played 11 games in the competition this term, they are still unbeaten and they have only conceded four goals. Although the Blues are by no means certain to end up in the Premier League's top four, the UEL offers them another ticket to the Champions League. Olivier Giroud is still the competition's top scorer with nine goals, Willian, Pedro and Callum-Hudson Odoi have been excellent (especially at Stamford Bridge), and Andreas Christensen has been one of the tournament's best defenders. If Christensen doesn't get assurances of regular Premier League football next season (he has started just four league matches), the offers will flood in for the young Dane. Chelsea have won ten of their last 12 home games in all competitions, and eight of those wins were by a margin of two goals or greater. In the UEL, Chelsea have now won their last eight home games, with five of those taking place this season. Antonio Rudiger is out after picking up a knee injury at Anfield, while Giroud is likely to get the nod ahead of Gonzalo Higuain in attack. With Chelsea in command of the tie, it'd be a big surprise to see star player Eden Hazard start. Slavia Prague are contesting a European quarter-final for the first time since they faced Leeds United at the turn of the millennium, and they did their reputation no harm at all last week. They had more shots than Chelsea and more shots on target, and managed that without key midfielder Tomas Soucek. Given that they have won 4-1 at Genk and drawn 2-2 at Sevilla in the knockout phase, Slavia will feel they can score at Stamford Bridge, and it's worth remembering that this is a side that's used to winning. Slavia are at the summit of the Czech top flight, and are set for a second league title in three seasons. Soucek's return could be the only change to Slavia's line-up, as there are no fresh injury worries. Attacking midfielder Miroslav Stoch, who had some bright moments last week, returns to Stamford Bridge after a spell with the Blues earlier in his career. Slavia have scored freely, and they made some great chances last week. I think they can fully contribute to an exciting second leg, but ultimately Chelsea will prove too strong. I'll back a Chelsea/Over 2.5 Goals double at evens on the Sportsbook. Giroud to reach double figures? 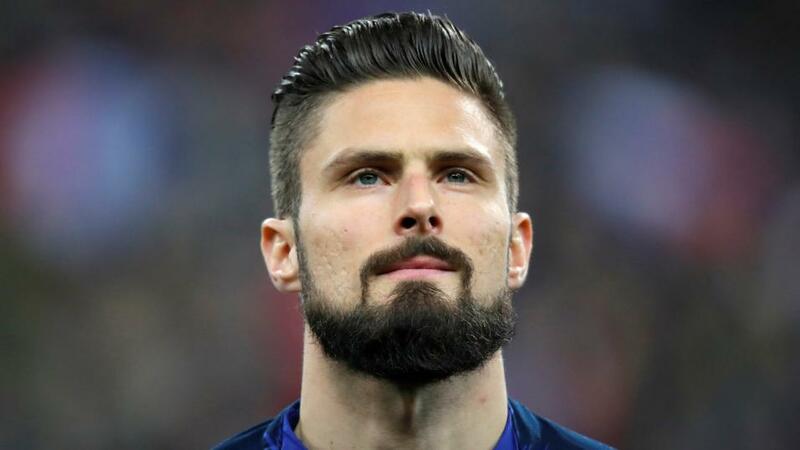 World Cup winner Olivier Giroud continues to be frozen out of the Premier League starting eleven (just seven starts), but he has been the go-to guy in the Europa League. In his last eight appearances for club and country, Giroud has scored six goals, and he has found the net at least once in six of his ten UEL games. At 5/4 on the Sportsbook, he's worth considering to score in 90 minutes.